Inundating our deadliest highways with law enforcement and deploying innovative patrol strategies to reduce alcohol-related deaths by catching drunk drivers and the establishments that over-serve them. This operation entails a surge of law enforcement officers on two of New Mexico’s deadliest highways – U.S. 64 between Bloomfield and Farmington and Interstate 40 between Gallup and Grants. Remarkably, 85 people died in traffic fatalities in just these two counties — San Juan and McKinley — alone in 2014, many of them alcohol-related; in fact, the alcohol-related fatalities in San Juan and McKinley counties are among the highest in the state. In 2018, 31 people died in alcohol-related crashes, an over 63.5% decrease. In addition to the increase in saturation patrols at targeted times on these highways, the New Mexico State Police deploy their Special Investigations Unit (SIU) to the region to track where every person arrested for DWI has been served their alcohol in an effort to ensure proper compliance by serving establishments as well. A DWI Warrant Round-Up Program that targets DWI offenders who have avoided justice. Law enforcement does their job by arresting DWI offenders, many of them repeat offenders, and taking them off our roads. However, many of these DWI offenders have shown that they have no regard for the safety of their fellow New Mexicans and continue to put the lives of others at risk by not showing up for court or not following the conditions of their release from jail. Therefore, they don’t face the consequences of their terrible decision to drink and drive and are not held accountable to the citizens of New Mexico. This program is designed to coordinate with the courts across New Mexico to identify those DWI offenders who have an outstanding bench warrant related to a DWI offense. New Mexico law enforcement, at different times throughout the year, tracks these offenders down, apprehends them, and brings them to justice. Placing New Mexicans in courtrooms to monitor the justice process as it relates to DWI cases in certain counties. 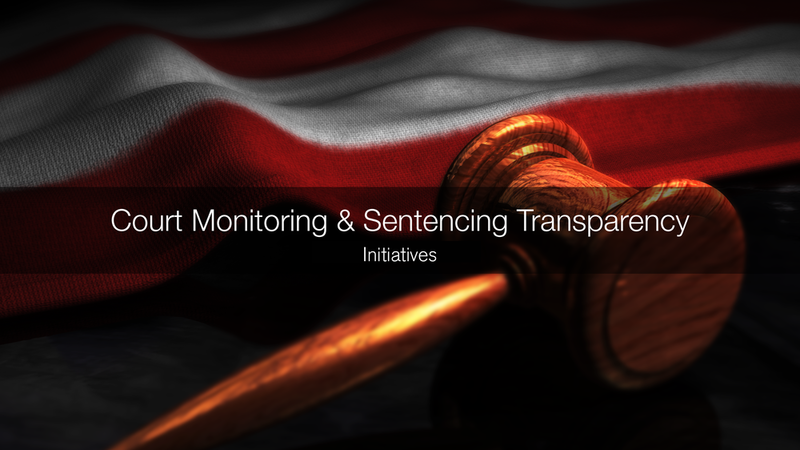 The court monitoring initiative places monitors in certain courtrooms throughout the State to watch the DWI adjudication process and provide information to the public about how DWI cases are being handled. Monitors attend DWI hearings in person and compile reports on how judges and others involved in the legal process are dealing with drunk drivers. Locating and arresting repeat DWI offenders and DWI offenders with violent criminal histories who have violated their parole and are now fugitives. Under this initiative, the New Mexico State Police and the Department of Corrections Absconder Unit tracks down and arrests DWI offenders who have violated their parole and are now fugitives. Many of these offenders are also violent criminals who drove drunk and either seriously injured another driver, killed them, or are repeat offenders who are at high-risk for causing a tragedy to occur in the future. 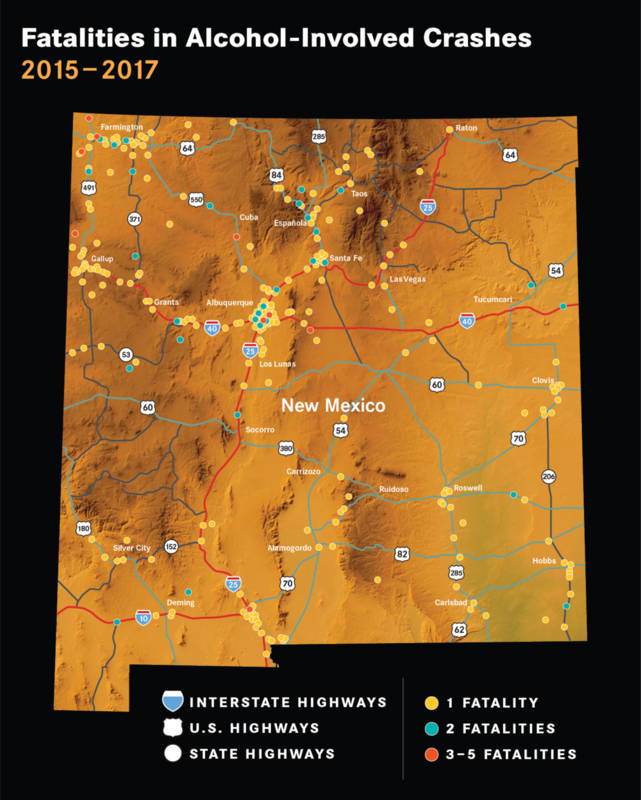 Tracking DWI-related fatalities and crashes across the state of New Mexico. DWI Crash Maps are a tool to track fatalities and injuries caused by drunk drivers. It illustrates the location of DWI-related crashes and the number of resulting fatalities and injuries on our roads. Collecting and displaying data allows a clearer picture in which to analyze how and where to focus our initiatives. Prepared for the New Mexico Department of Transportation, Traffic Safety and Planning Divisions. Under Contract C05801 by the University of New Mexico, Geospatial and Population Studies, Traffic Research Unit (TRU), tru@unm.edu, October 2015, tru.unm.edu. 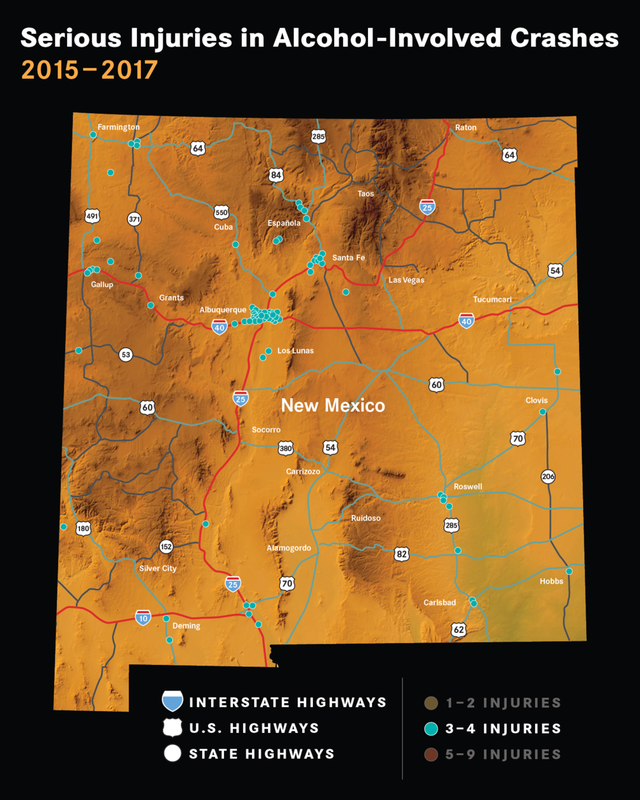 Sources: New Mexico Department of Transportation Traffic Crash Databases, 2012 – 2014 (2014 preliminary).